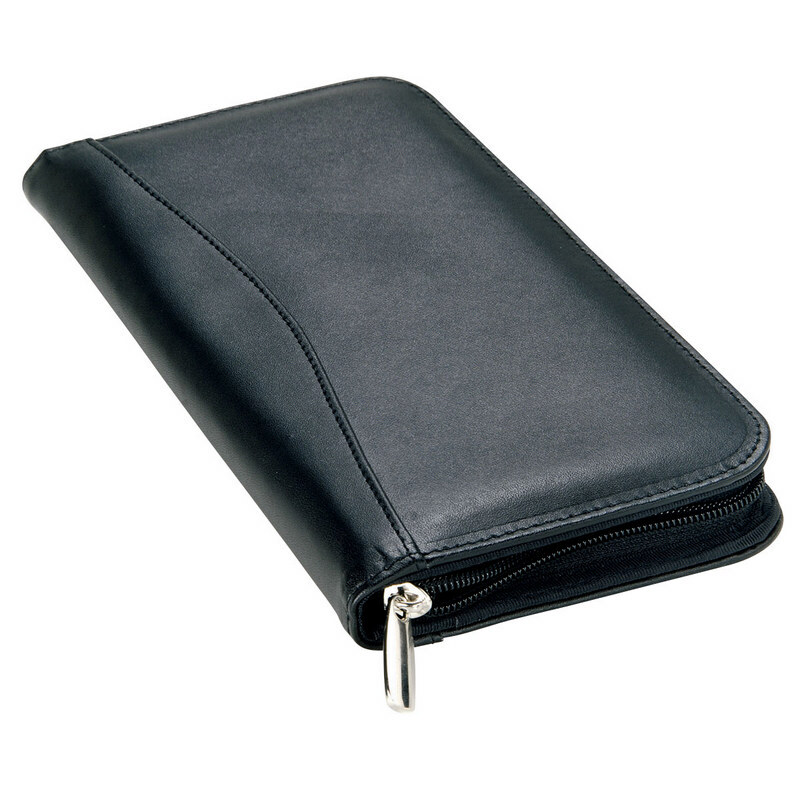 Description: Ideal for tour groups and conference groups, the Bonded Leather Travel Wallet is smart and functional, featuring scalloped panels. Bonded leather | Quality silver zip puller | Elasticised mesh pocket inside | Elasticised loop for pen | Business card holders | Scalloped feature panel front and back of spine. Size: 13cm w x 24.5cm h x 3cm d. Colours: Black. Decoration Areas: Screen Print.